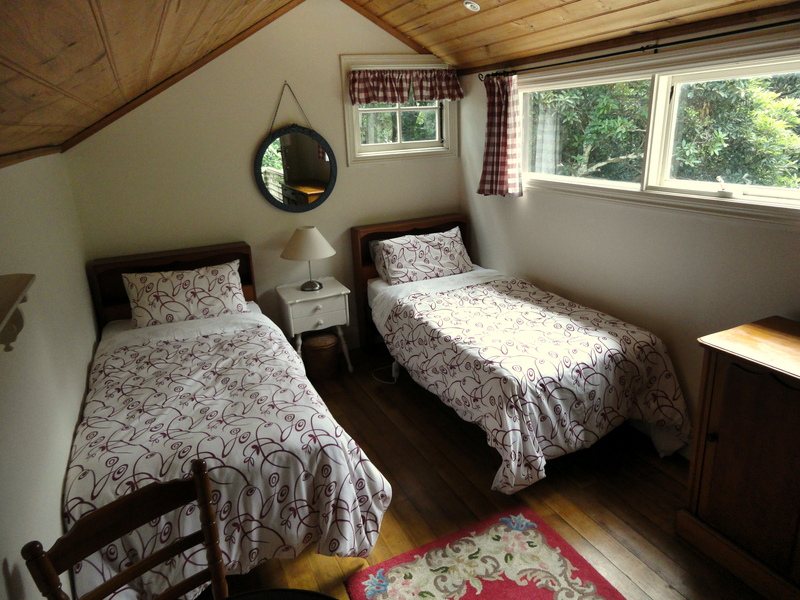 Our self-contained cottage has 2 levels. 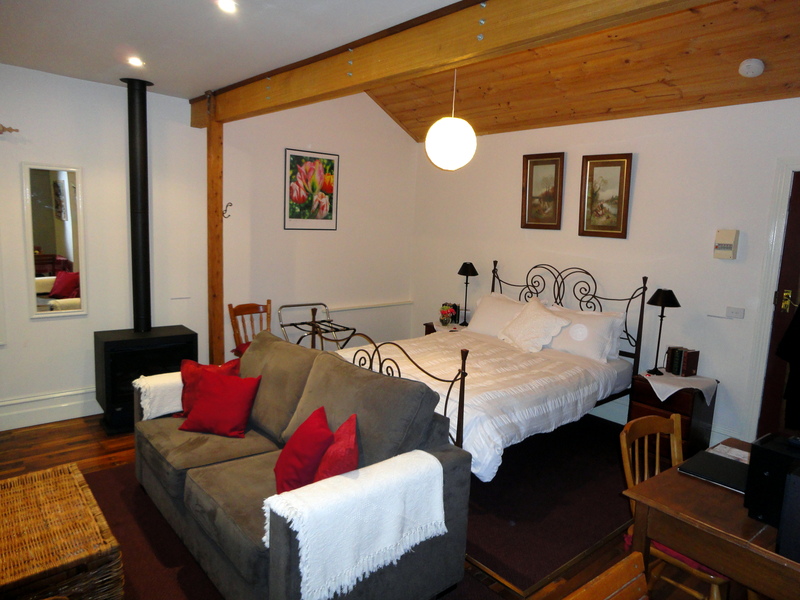 The ground floor is a combined bedroom/living room area with one queen bed and 1 sofa-bed. There’s a gas-log fire for cold winter days and an A/C for hot summer days. TV/DVD with a DVD library. The upper floor has one bedroom only. 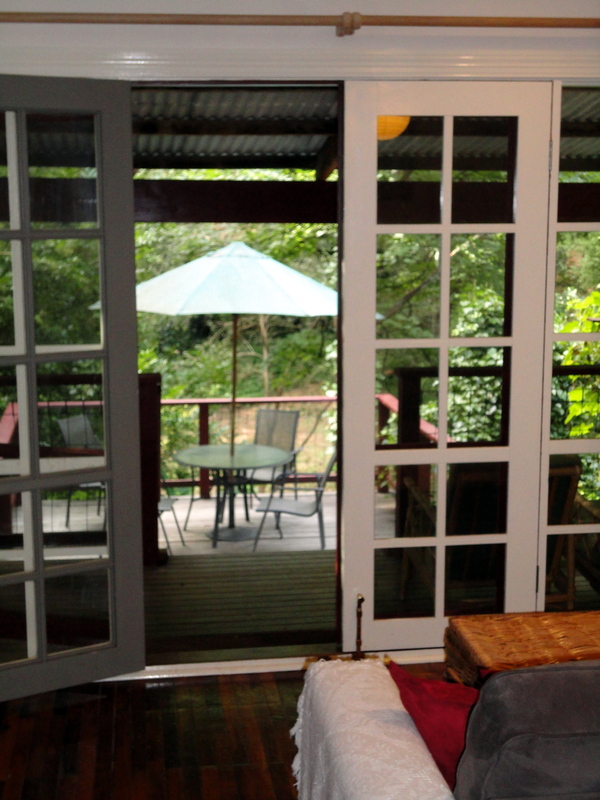 It has it’s own entrance up an outside staircase and has 2 single beds, a second TV/DVD, table/chairs and a wardrobe. It’s unfortunately not suitable for children under 7 years. 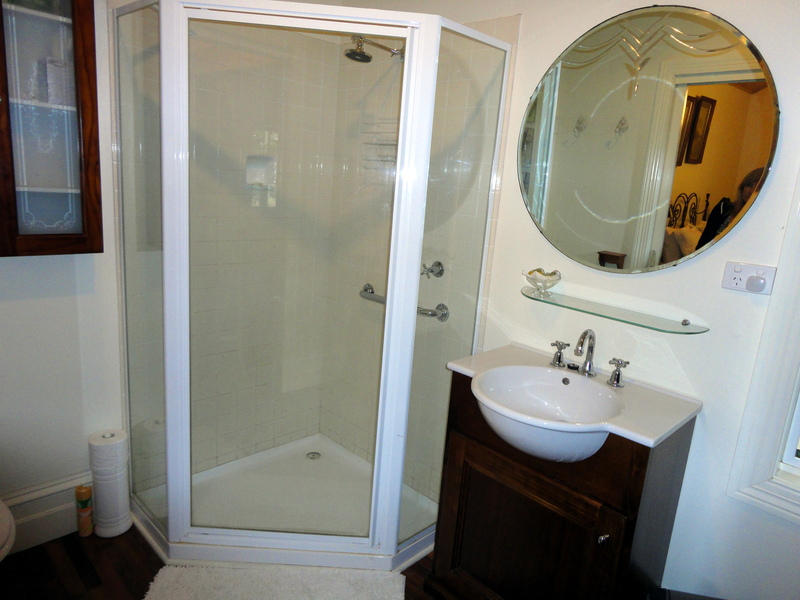 The bathroom on the ground floor has a shower, basin, toilet, hair dryer and wardrobe. 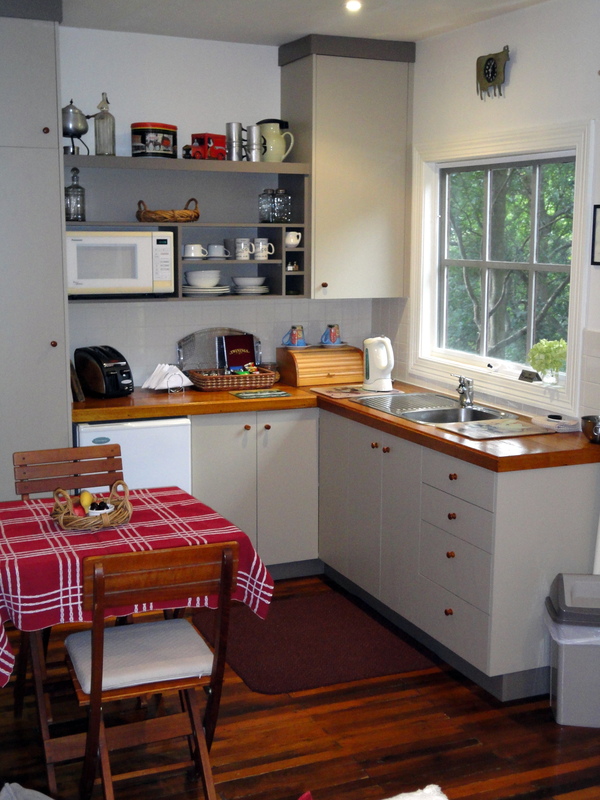 The self-catering kitchenette, on the ground floor will have light breakfast provisions for you to prepare yourself and enjoy either inside the cottage or outside on the patio. Included is a fridge, microwave, hotplate, large electric frying pan (that can be used on the balcony or inside) toaster and kettle. Large patio is perfect for sipping wine on arrival or a casual dinner or breakfast in the morning. There is also an undercover small balcony with an electric barbeque. It extends down to the large patio. Street parking is in a very quiet no through road. Shared laundry (small charge) is available if you’re staying longer. Included are special touches… chocolates, fresh flowers and a small basket of fresh fruit. This lovely suite is part of our main home but is completely private with its own patio and entrance. 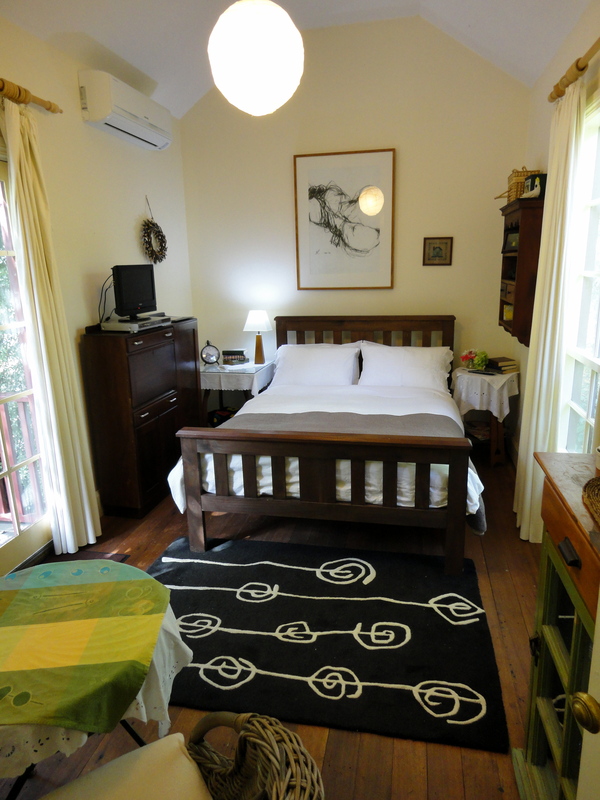 The bedroom has a comfortable DOUBLE bed, electric blanket and split system cooling/heating. 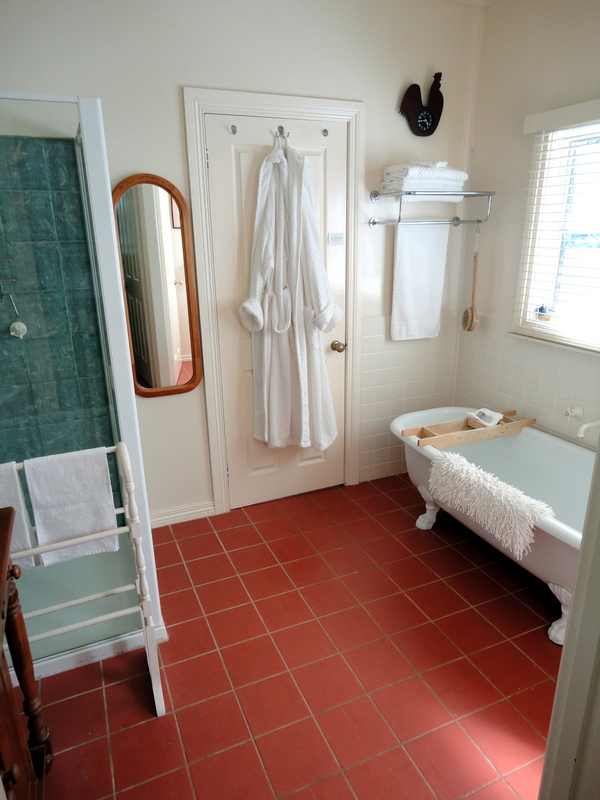 The full bathroom has a claw-foot bath, separate shower and toilet. There’s a small flatscreen TV/DVD with a small library of DVD’s, a fridge, kettle, toaster, mini oven, small electric frying pan and kitchen hutch. Heating/Air conditioning. Free continental breakfast and WIFI. Included also are special touches of chocolates, fresh flowers and cookies.